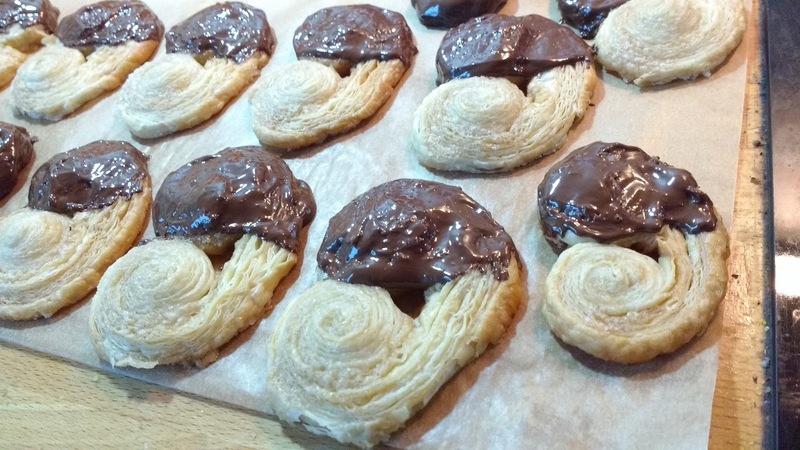 These beauties are particularly special for me because above all they remind me of home... All Portuguese out there living in different countries of the world will know that I'm of course talking about palmiers, the sweet puffy hearts we can get in every café in Portugal. These are not only hard to find in the UK but also are usually not vegan, as butter tends to be a main ingredient - which was why I had stopped eating them in the first place. But... I could not be happier when I found that not all shop bought puff pastry uses butter! Yayy! 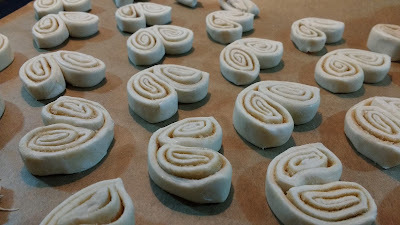 I started making my own palmiers a year or so ago and have added a few ingredients from time to time to make them even more special and delicious! This time, in addition to sugar, I used cinnamon and covered half of the hearts with melted chocolate. When they cool down the crunchiness of the puff combined with the chocolate...mmmm Amazing! 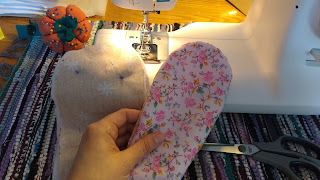 Anyway, in terms of method this recipe could not be simpler. 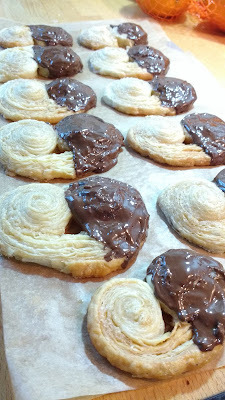 - Dip half of each palmier in the melted chocolate and place them on a lined tray to cool down. Should be ready to eat within a couple of hours :) Enjoy! !